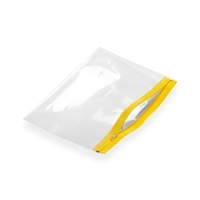 The name itself is a good enough give away, these polyethylene wallets come complete with a zip closure which can be opened and closed hundreds of times. 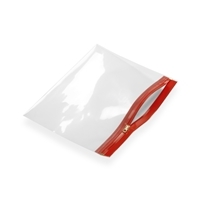 Simple, convenient, sturdy and multifunctional, entirely transparent so the contents can easily be identified. 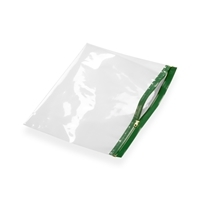 Add a simple one colour print to our stock range of pouches or take advantage of our tailor made service for a full colour print, promoting your brand name or products. Polyzip wallets are perfectly suited for displaying safety documents, document preservation, or for product information cards. The zip closure slides easy and effortlessly and prevents contents from being lost. Durable wallets which will last for a long time. 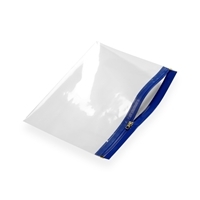 Various custom formats available as part of our tailor made service.